On the 21st of January (this saturday!) SALON/ created a special opening parcours. Buy a tickets a 15,- (valid for all locations and all days! ), meet the designers of winterSALON/2012 in person and be the first to witness the promising Bits & Pieces SALON/ have selected for you. An unique opportunity for everyone interested in art and the interaction between designer and its audience and fashion culture in new contexts. 11-GALERIE MARTIN VAN ZOMEREN, Prinsengracht 276, at 17.30h FINAL DRINK! 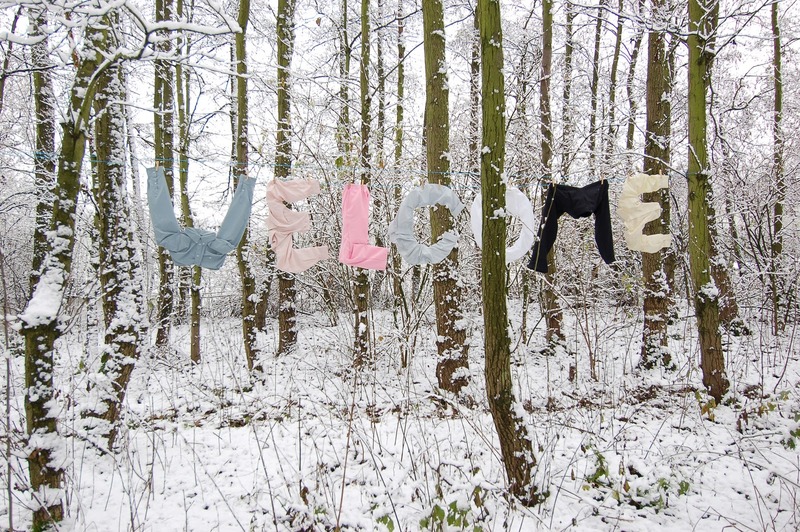 Feel welcome, do come, even if you have to catch up. We cordially invite you to the opening on January 21st at 11 am at The former Royal Mews/Voormalige Koninklijke Stallen @ Lauriersgracht 152 in Amsterdam. 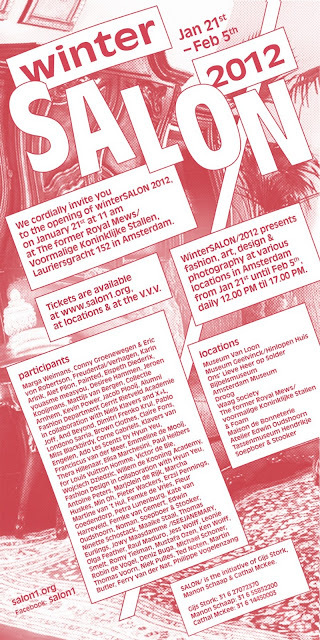 Tickets a 15,- at www.salon1.org, vvv tourist offices, and at the locations. Stylist Maaike Staal winner Elle Style Award 2012 is participant of winterSALON/2012 !